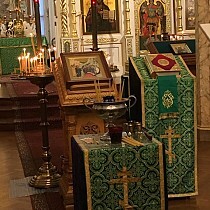 The report of His Eminence Hilarion, Metropolitan of Eastern America & New York, President of the Synod of Bishops of the Russian Church Abroad, petitioning for the confirmation of the election of Archimandrite Luke (Murianka), abbot of Holy Trinity Monastery in Jordanville, NY, and rector of Holy Trinity Seminary, as Bishop of Syracuse, vicar of the Eastern American Diocese. In accordance with the Act of Canonical Communion (par. 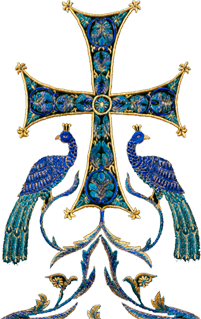 7), signed on May 17, 2007, hierarchs of the Russian Church Abroad are elected by its Council of Bishops, or in instances delineated by the Regulations of the Russian Orthodox Church Outside of Russia, by its Synod of Bishops. Such elections are confirmed on canonical grounds by the Patriarch of Moscow and All Russia and the Holy Synod of the Russian Orthodox Church. On December 6, 2018, the Synod of Bishops of the Russian Church Abroad elected Archimandrite Luke (Murianka), Abbot of Holy Trinity Monastery in Jordanville, NY, and rector of its seminary, as Bishop of Syracuse, vicar of the Eastern American Diocese. His Eminence Hilarion, Metropolitan of Eastern America & New York, petitioned to His Holiness [Kyrill, Patriarch of Moscow & All Russia], for confirmation of this election. 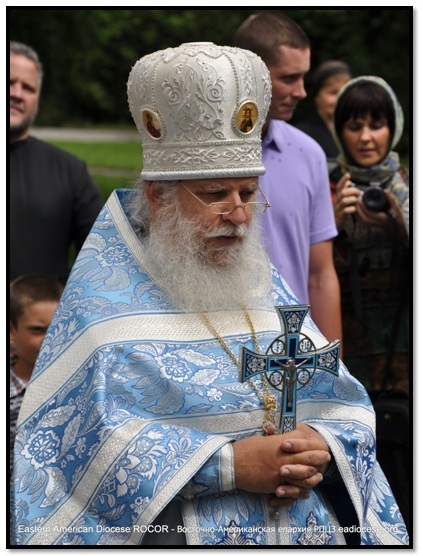 To confirm the election of Archimandrite Luke (Murianka), abbot of Holy Trinity Monastery in Jordanville, NY, and rector of its seminary, as Bishop of Syracuse, vicar of the Eastern American Diocese.